Construction crews discover unexpected complications during safety renovation. Slight delay in reopening. Anyone who's done work or had work done on an old building knows you never know what you might find when you start opening up walls. The wall of the main auditorium in the Multnomah Arts Center provided some surprises for crews who are making seismic improvements to the building. As a result, the re-opening of the auditorium has been delayed. 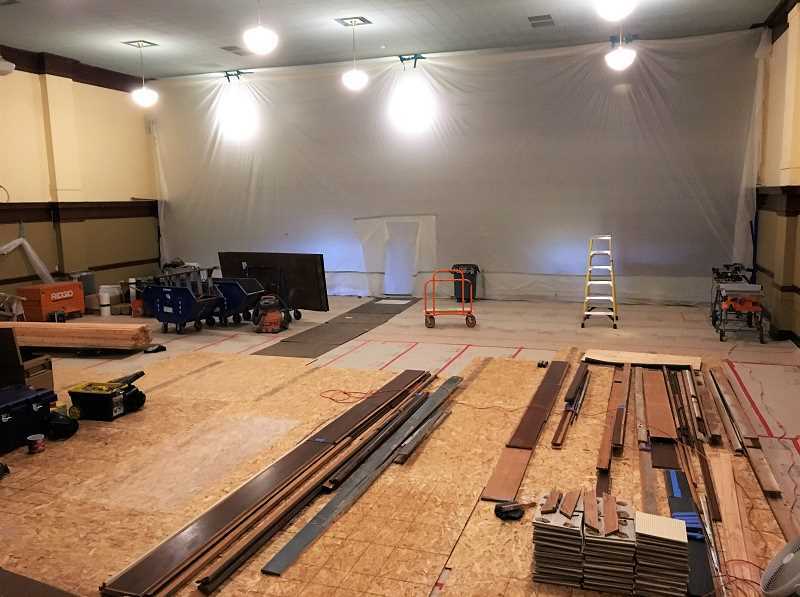 "Once the auditorium wall was opened up, the contractors found some unexpected conditions that required additional work before proceeding," according to Maija Spencer with Portland Parks and Rec. "This was not a big surprise," she writes in an e mail, "given the age of the building and it is not unusual in renovation projects like this. Completion is now scheduled for mid-March." The original plan was to re-open the auditorium at the end of February. The work to make the main hallway safe in the event of an earthquake will continue into April. Voter-approved funds from a Park Replacement Bond are financing these improvements. The main focus has been making sure people can escape if there's an earthquake.